Our church is grieving this morning alongside our sister church upon hearing the fresh news during the worship service that a sweet family lost their youngest daughter in a horrific car accident last night on her way home for Christmas. I keep thinking of Fara and how deep her suffering must be. Just this past summer, I read One Thousand Gifts, by Ann Voskamp, and came home after church to pick it up that I might find direction to Scripture of a reminder of the faithfulness of the Father. Give thanks to him who made the heavens so skillfully. His faithful love endures foverer. Give thanks to him who made the heavenly lights – His faithful love endures forever. I have many idols but the one idol I have that steals my attention and heart most is that of my children. I often say to myself, “I would be so devastated if I lost a child….so much so that I don’t think I could function in life anymore.” Would I trust God with my future? Would I remember how far his arms have carried me? Would I be grateful? Would I be thankful? Would I really believe that he is good? Can’t wait to celebrate all day with him. He’s grinnin’ from ear to ear! 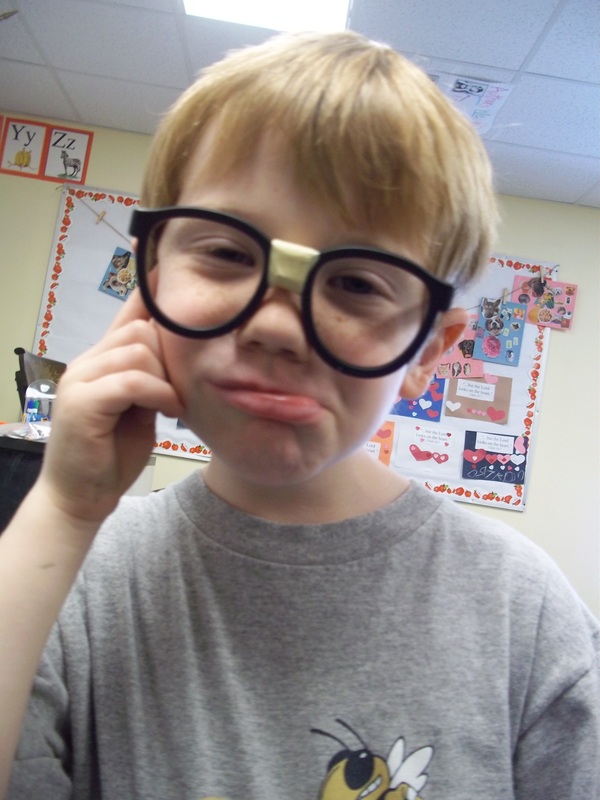 Happy sixth birthday, Lukester. We love you deeply. I’m all about some easy cooking. I’ve never really enjoyed being in the kitchen so I appreciate any recipe or idea that comes along in the form of SIMPLE! I went over to Jennifer’s house for a visit one night and couldn’t stay away from the delicious smell coming from her kitchen! She FINALLY shared the recipe with me (just kidding, Jennifer!) to her delightful potato soup. Believe me, it’s super easy! It doesn’t even involve peeling potatoes! (1) bag of frozen: hash brown OR tater tots OR any other frozen potato product in a bag. First, combine cream of chicken, broth, and all of frozen potatoes in the crock-pot and stir. Cook on LOW for 4 hours, stirring occasionally. Cut the cream cheese into cubes and add to the soup. Cook on High until the cream cheese melts, stirring occasionally. Continue to cook for 30 minutes to give a creamy consistency. 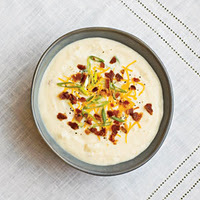 Ladle into bowls and top with Cheddar cheese, sour cream, bacon bits, and green onions! You can make this on the stove if you need to make it quickly. Serves 10. A friend shared a true story with me today….. He spoke it out loud and it sounds like R.E.S.P.O.N.S.I.B.I.L.I.T.Y! My heart was thrilled to hear this! His confession reminds me of the joy in suffering so that I can see the redemption of our Father. I pray that Andrew’s heart will continue to struggle and speak the gospel to me and to his friends. The child’s hope is not you (the parent)…his hope is God. I’ll have to re-read this post over and over to be reminded of that Truth. It has been a busy day – a day we have enjoyed very much! We’ve spent it together and never was there a dull moment. Makes me thankful. After leaving the tri-city Christmas parade this morning, my phone rang. It was our main contact with the state foster agency requesting that we come in TODAY instead of waiting two more days for our regularly scheduled appointment. WE WERE DELIGHTED! So, for the first time, our three children got to go to the state department with us to meet” Mrs. M” and let her know how they had been praying. Abigail said, “I really want a sister to share my room with me.” The boys agreed and said, “We want Abigail to have a sister so she’ll have a roommate like we have each other.” So sweet! I have no high expectations but I am hoping we’ll be approved quickly for a home study and can meet a sweet new child soon! The boys are finally sleeping in a set of bunk beds thanks to a beautiful couple here in Columbus. I pray that we will “pass the gift on” once the boys outgrow this set. It is such a blessing to receive needed gifts from people who delight in giving. One of the boys’ twin beds went to Abigail so she is no longer sharing her room with a queen bed. Now, she has plenty of floor space for play as well as a bare wall for another twin bed if God chooses to bring her a sister! I had a photo shoot this afternoon as well. It was the first one for me in a while. I really enjoyed it but I don’t really miss getting behind the camera as much as I used to. I am really feeling the pressure to get this blog printed AND to pick up my scrapbook albums….and I’m getting older and slower by the day. I think she’s getting “it”. As I was tickling Luke during our weekly wrestling match (I always win), he giggled, looked up at me (while I was pinning him down!) and said, “You’re my favorite mama in the whole world.” YAY! I win again! Tonight up on tucking the kids in bed, Andrew started talking to me about some issues he’s having in class with others. I was so tired and almost dismissed him when he started but so glad I stopped and took the time to show him interest and listen. The little guy poured out such worry about his relationships with his friends and I could tell he was feeling his emotions very deeply. It was such a sweet time to just sit and listen, comment from time to time, encourage him, and pray with him. I don’t know what it is about second grade but Andrew has definitely shown such growth in his life this current school year. It makes me wonder what God will reveal to me in my little boy in the months to come. He’s such an encouragement to me and I thank the Lord for the treasure of a moment at Andrew’s bedside last night. Ever had one of those friends that when you drop by their house just to say “Hi” you then end up staying for dinner? When I walked into Chrissy’s house this afternoon with my three kids (and her two), I immediately smelled something in the Italian genre. Chrissy is a friend with whom I feel comfortably crazy, so I just asked, “What’s for dinner?”, and she replied, “I made enough spaghetti for you all to stay and eat with us. Game?”. I’m thankful I didn’t have to cook dinner tonight. Even my spaghetti-hatin’ kid ate two helpings tonight. Me thinks I better change to Chrissy’s sauce recipe! I’m even more thankful for super cool friends who think for us treat my family with loving kindness. It’s a lovely life we have.